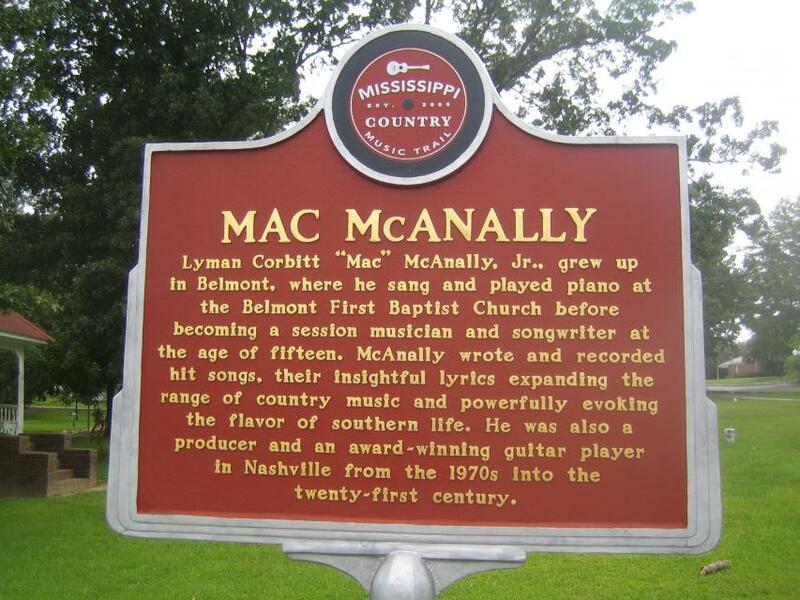 Lyman Corbitt "Mac" McAnally, Jr., grew up in Belmont, where he sang and played piano at Belmont First Baptist Church before becoming a session musician and songwriter at the age of fifteen. McAnally wrote and recorded hit songs, their insightful lyrics expanding the range of country music and powerfully evoking the flavor of southern life. He was also a producer and an award-winning guitar player in Nashville form the 1970s into the twenty-first century. This marker can also be identified by its HM code. 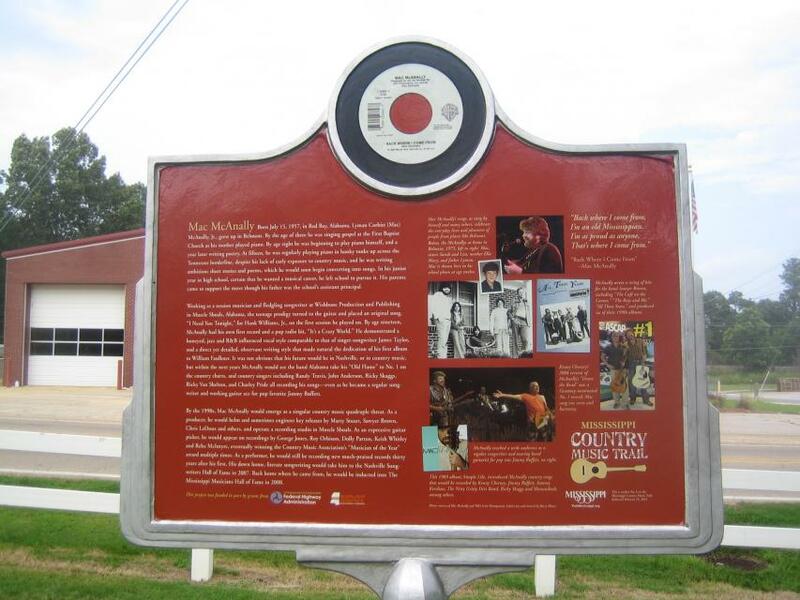 You can use the hashtag #HMRJL in tweets, and any other place where you might refer to this marker, including when searching on this site.